Barragan Insurance Agency provides Business Owners Packages. A Business Owners Package policy is commonly called a BOP. Business Owners Packages (BOP) cover a business’s general liability coverage and business property. In addition to general liability and business property, a BOP usually includes crime, glass, equipment breakdown, sign coverage and non-owned or hired auto coverage. What types of business’ need a Business Owners Policy? Barragan Insurance Agency offers commercial business insurance. Commercial business insurance provides a wide variety of protection for businesses. Commercial business insurance takes care of property, liability, professional liability, technology, and worker’s compensation along with numerous other types of specialized insurance needs. Liability insurance provides coverage for damages to third parties, while property insurance covers damages to business property and products stored within the business premises, and workers’ compensation insurance covers employee injuries. Commercial general liability insurance coverage provides protection from claims of bodily injury or property damage. Commercial general liability insurance protects the assets of a business when it is sued for something it did (or didn’t do) to cause an injury (such as serious bodily harm or even death for another person) or property damage. Commercial general liability insurance policies generally include liability protection for services or products completed by your company. 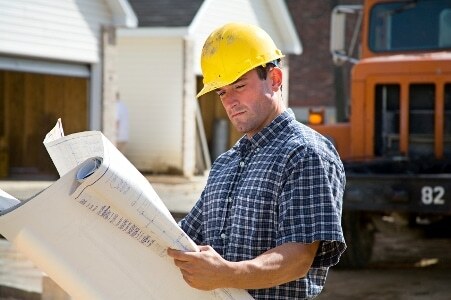 Large Contractors – Bridge Contractors, Concrete Contractors, Fire sprinkler contractors, General Contractors, Highway, Street and Road contractors, Mechanical contractors, Millwright Contractors, Plumbing Contractors, Tile Contractors, Underground Utility Contractors. Commercial Property insurance protects your business against the loss or loss of use of company property. “Property” can include a variety of types: lost income or business interruption, buildings, computers, money, and valuable papers. Business Insurance Center for Sacramento and the Northern California region including Folsom, Elk Grove, Rancho Cordova, Carmichael, Antelope, North Highlands, Folsom Ranch, Gold River, Fair Oaks, Woodland, Natomas, Sacramento, Anatolia, Kavala Ranch, Rocklin, Roseville, Lincoln, Loomis, Granite Bay, Galt, Natomas, Davis, West Sacramento, Citrus Heights, Orangevale, El Dorado Hills, Stockton, Modesto, Lodi, Merced, Tracy, Antioch, Dixon, Woodland, Fairfield, Vacaville, Vallejo, Marysville, Yuba City, Linda, Plumas Lakes, Chico, Bakersfield, San Jose, Campbell, Los Angeles, San Diego, San Francisco, Long Beach, Fresno, Oakland, Santa Ana, Anaheim, Placer County, Sacramento County, El Dorado County, Yolo County, San Joaquin County, Sutter County, Northern California, Central California, and Placer County, and other cities and counties within California. We also provide business insurance for those living in Texas, Nevada, Arizona, Oregon, and Utah and beyond.